I provide highly effective services that can enable you to make often difficult, but needed positive changes in your life. You too, can start immediately improving the quality of your life beginning with just a single session. Quit Smoking, Weight Loss, Improved Sports Performance, Stress Relief, Increasing your Motivation and Overcoming Fears and Phobias are just a few of my highly successful programs that will help you to quickly, easily and finally take control of your own future. Unfortunately, many people only discover the effectiveness of Hypnotism after unsuccessfully trying many other methods and products. The most common feedback I receive from a client is, "I only wish I had come to see you first, I wasted a lot of time and money". Don't waste any more of your time, your money or your life. Call me today at 610-296-4929 and find out how I could be helping you now. Listed below are some of the most requested services that I provide. Whether you realize it or not, your mind has all the tools and abilities needed to do anything you want and need to do in your life. Hypnotism acts as the gateway for you to access and utilize the hidden power of your subconscious mind to create positive personal change. It's not anything wierd or strange, it's just how all of us work. I'm Joseph Nunan CH,CI and I have successfully worked with thousands of clients, I can help you get the results you want and need. Weight Loss is one of the most effective programs I have to help clients to establish new, positive attitudes and help them to achieve their ideal weight. We all have an ideal weight we should be. I's our perfect weight, the one where we are the people we should be. Unlike smoking, eating is not like a habit we can quit, we have to eat to live, but we can eat better, with better motives and enjoy it much more. With the fast pace and high stress of our daily lives, we can often find ourselves eating the wrong things for the wrong reasons. We eat to reduce our stress and anxiety, we eat for peace and comfort and we eat just to feel good for awhile. These are all very important needs for us and, along with an increase in portion sizes, are THE major reasons why over half of the US adult population is overweight. As part of my Weight Loss programs, I teach my clients to use Self Hypnosis, a powerful tool that enables you to be more relaxed, more positive, more calm, peaceful and take control of your life. Working with a Hypnotherapist, like me, you easily start new, healthy, positive habits and make them a permanent part of your daily life. Close to 50% of my Weight Loss clients are referred to me by other clients or health care providers. Make sure you visit my Weight Loss Page to learn how I can help you to easily and quickly get to your ideal weight. The reason that most people find it difficult to quit smoking is because they attempt to change a subconscious habit with conscious effort and will power. It's no wonder so many people end up feeling frustrated and helpless after trying to quit and failing. Expensive patches, gums, electronic cigarettes and dangerous drugs do little to change those results. Virtually all of my clients stop smoking for good in the first session of my Quit Smoking program. That's right, in the first session of the program and close to 95% of them are still not smoking after completing the program's second session. That's right, just two sessions. I know it's amazing, but that's why my individual Stop Smoking Program is the most effective way to quit and stay quit. With my Quit Smoking Program, you can quickly and easily make the changes you want and need, eliminating the frustration and conflict caused by "trying" to quit and eventually failing at some point. No gum, no patches, no dangerous drugs, no gimmicks, you just leave it all behind you. Now, unless you enjoy that kind of suffering, my Quit Smokng Program can make your transition to a new life as a non-smoker amazingly quick and easy. Make sure you visit my Quit Smoking Program Page to learn how my program can work for you. Hypnosis is the ONLY way to overcome the Fear of Heights. There is no "Getting used to it". With hypnosis you can change at that inner leve where the actual fear resides. It's not difficult or complex and I get quick, amazing results. Often I can eliminate this fear forever in just one session. Don't suffer with this fear, especially if it's preventing youy from being happy and succesful in your life. Call me today at 610-296-4929 and put this behind you once and for all. I provide services and innovative products to help clients to fall asleep easily and rest beautifully. I've been doing this for years and I've got a big bunch of sound sleepers. If you are bothered with constant or intermittent Insomnia, just by making a few changes you can immediately start improving the quality of your rest, relaxation and sleep. Learn to give your body exactly the kind of sleep it is asking for and see the results and benefits as you have more energy, a better outlook and are healthier. Good sleep can be taught and learned and I can help remove the "busy-mind" barriers to rejuvenating rest and relaxation. There are medical reasons affecting our abilities to sleep well and soundly and we strongly advise seeing a physician to see if any of these could be affecting you. However, if it is just a difficulty in relaxing or "turning off our busy mind", self-hypnosis is a wonderful alternative to sleep drugs and sleeping pills. I have had many clients who could never sleep easily or well and who have changed that in as little as one session. It works, it's healthy and it's easy. I also have fantastic Sleep Improvement System MP3's on iTunes and CDBaby.com and I've received emails with the great results they are providing listeners using Brainwave Technology to guide the mind into restful sleep. Visit my Products page for more details and or call for an appointment. My Sleep Improvement System on CD is included in my Better Sleep sessions. I can help you to overcome almost any bad habit that you really want to overcome. Just take a moment to read on and I'll explain why. Habits are just behaviors that have become subconscious activity. That is, they occur outside of our primary attention and awareness. They operate almost "automatically" because they, in fact, have become a part of us. That is why change of habits is so difficult. That is where the benefits of hypnotherapy come in. Making changes on a subconscious level is exactly how and why hypnotism works so well with habits. Once we change on the subconscious level, the change is complete and permanent. I often help students to learn more of what they are taught, recall more of what they learned and how to access these skills easily for testing. Students today are taught so they can learn, but not taught how to learn. See testing tensions go away as students can now have confidence in their performance under all conditions. Preparation for ACT and SAT ⁄ PSATs, AP, GMAT, MCAT, GRE and LSAT using new skills can provide you with the edge every student needs. Everything we experience in our life is always remembered. The problem is that it may not be reachable when we need it. Have you ever had something "on the tip of your tongue"? My sessions and techniques have helped students young and old to improve their test scores and grades by significant measures. We've seen C's and D's turn into A's and B's in a relatively short time. So if you have important tests coming up, certifications you need or want or just continued learning improvement to help you have that extra edge, call me now and I can explain how I can help you right away. Diabetes is a serious problem and one of the most important things I can do for you is to help you control your diet and your weight. Being overweight is one of the worst things for a diabetic and my programs can help change your old eating habits. Clients I've seen with diabetes all report improved blood sugar levels to me when they start changing on my Weight Loss program. These changes make a big difference in their quality of life and longevity. Anyone with diabetes should always be under the care of a physician, but I can help you to Lose Weight and start making the necessary changes you need. I provide innovative services that greatly help clients reduce their reactions to situational stress. Relaxation and Time Out techniques can diffuse the emotional tension that leads to unwanted results. Right now you can learn to handle your work and family duties with less strain and tension and know when you should stop and relax yourself. Good for the body and the mind, this makes your life healthier and happier. Stress is a silent killer and the real truth is just becoming known on how it affects our mind and body over a long period of time. The problem is when that stress goes on day after day, even in a relatively small amount. It builds and builds and begins to effect us physically and mentally in a very devastating way. This is the best way and only way I know of to change your habit of sucking your thumb. Sucking the thumb is a very comforting habit and as a result, it is very hard to give up. Usually, only a change in life situation will spur you to change. those types of changes are a change in living arrangements, such as going away to college or moving in with someone else. While it is comforting, after a certain age we can become embarrassed if others find out we do it. I can help you change the habit and move on in your life. Call me at 610-296-4929 for details on how I can help you. I know business and nothing can hurt you in business more than if someone up top thinks you have a less than stellar attitude or lack Self-Confidence. Even though many companies are different, you have to learn the skills to get ahead with a great attitude every day. It's your life. I also give group custom business attitude seminars for company employees. Call me at 610-296-4929 for details to see if I can get your workplace running smoother and more productive. Fear of Flying is a common issue I have great success with. We're actually safer flying than driving to the grocery store, but we know that and yet, it doesn't make it any better. Fear of Flying makes us a prisoner, unable to go where we want or need to go. You'll also realize it won't go away, no matter how many times you force yourself to fly. Drugs and drinking are the cure. Hypnosis can remove the Fear of Flying in as little as one session for good. I have many clients who are so happy being able to visit family and see the world now, thanks to hypnosis. Give me a call at 610-296-4929 and remove this obstacle from your life. I provide instruction and training in the famous Coue method. This is the secret skill learned by some of the most stellar performers in our world, from Tiger Woods to Einstein and Chopin, they all learned efficient thought and reason. We use these techniques and they make all the difference in our entire life. We have a more positive attitude, worry less, are more relaxed and feel better. My clients report some amazing achievements from better health and wellness to overcoming personal fears and obstacles to getting new jobs and meeting their perfect matches. Now, I certainly can't be specific on what your achievements will be, all people differ and also their commitment and efforts will differ. I can tell you that if you believe in it, expect it and use your imagination on it as we can teach you, anything is possible. It's the way our mind works. Less than 10 minutes a day will make an unbelievable difference. Let yourself be the best you can be. I help many athletes of all ages, skill levels and sports to improve the mental side of their performance and increase their focus, concentration and intensity. I help with maximizing practice benefits and overcoming performance anxieties. I work with athletes from scholastic to professionals in Baseball, Football, Horse Racing, Soccer, Ice and Field Hockey, Basketball, Golf, Archery, Gymnastics, Track and Field, Cross Country and Tennis. It makes a big difference in how you perform and how successful you can be. The key to being a winner is in the mind and being able to produce your best effort when it's needed the most. Good athletes don't make big performances at key moments by accident, they are prepared mentally for it. Have an edge on the competition with a great mental attitude. I work with individuals and teams to help them maximize their performance. I can help you get the edge you need to compete at the highest levels. My clients have included professional golfers and baseball players and they have found my sessions and techniques invaluable. With the competition for athletic scholarships at colleges and universities so intense these days, I have helped student athletes to improve their performances through the scouting periods to increase their chances of getting that all important scholarship and financial benefit for their college education. Do you ever find yourself stuck or bored in your training ? Do you feel like you are not accomplishing the goals you set out for ? Do you feel your results are not matching your effort ? Professional Athletes use my tools to improve their concentration in training and workouts with great results. If you have a busy schedule and belong to a club, you want every minute to be worth it to you. With the skills I can teach you, you will be able to maximize your time and effort towards getting the results you want. I work with many equine professionals and am unique in my knowledge of the key ingredients riders need for maximum effort in all competition. Horses can intuitively sense what is going on in the riders mind and hypnosis can help to have you prepared, eliminate distractions, focus on the moment and allow your practice and skills to shine through. I have worked with professional jockeys for many years. Some of my most effective work comes with helping my clients overcome long-held fears. They are wide in variety and often become, over time, very debilitating. Often they are irrational and make no good sense on a conscious level, but our subconscious seeks to protect us from threat, real or imagined. Some of the fears we work with are Planes, Heights, Public Speaking, Closed in Spaces (Like MRI's), Escalators, Bridges, Spiders, Snakes, Mice and Rats, Bugs, Dirt and Germs and almost anything you can imagine, or be fearful of. If you have fears, phobias or aversions that are causing you to not lead the life you want to lead and do the things you want to do, give me a call at 610-296-4929 and discover how I can help make your life easier and better. Many advances have been made in helping people to overcome communication difficulties and hypnosis has proven to be a highly effective method to assist in this. The new sense of freedom you can gain can is often open amazing and presents great opportunities for the future. About a month ago I took part in a hypnotherapy session to try to cure my stuttering. The session lasted only a couple hours but it would have lasting effects on my life. Ever since that session I've been using the methods you've shown me, and while I still have a bit of work to do, I've actually managed to communicate with people around me effectively on a regular basis. Hypnotherapy has helped start a major shift in my life, by allowing me to talk with people around me. For this I want to sincerely thank you Mr. Nunan! I'm here to tell you that you are not "stuck" being how you are now. You can change and Hypnosis is the best way I know to do it quickly and easily. That is why I do it. Let me help you. Irritable Bowel Syndrome can be caused my many, often hidden, reasons. As the medical industry learns more about how we react to the world around us, we find that many chemicals, allergens, pathogens, viruses and irritants can provoke and encourage symptoms like IBS. Your physician is always your first source and can help in diagnosing this problem and its causes. One of these causes or irritants can be stress and Hypnosis can help reduce your levels of stress and often greatly reduce or remove the symptoms of IBS. A referral from your physician is required and we have had great success working with referred clients who were cleared of any pathological source. The more we learn about stress, the more we learn of the damage it can do and even be fatal. Hypnosis can help greatly with this hidden killer. Having a Positive Attitude in Life is one of the most essential prerequisites to fully enjoying your life and having the success and fulfillment that you want and desire. Nobody likes to be around people with Negative Attitudes, but sometimes we are trapped by our own self sabotaging outlook. I can help your glass to be half-full, instead of half-empty. Often a dramatic change occurs when we begin to look more for the positive sides of events, relationships and the world around us, and hypnosis, and self hypnosis is a quick, easy way to make those changes and begin enjoying life, instead of waiting for the next bad thing to happen. Many, many people have successfully overcome nail biting with hypnosis over the years. Nail biting is usually socio-genetic. It runs in families, not necessarily from a genetic link, like DNA, but as behavior pickup up from parents at a very early age. It also tends to be more father to daughter and mother to son than the other way around. This habit is what they used to call a "nervous" habit and is a behavior that we tend to do in times of stress or anxiety. It is often associated with worrying, and often actors will bite their nails in TV or the movies to convey that. There is some thought in the psychological field that this has more deeper roots, but usually other issues are present in those cases and most people who bite their nails have simply picked it up from their parents and have been doing it as long as they can remember. Most people want to be rid of this habit, as today's risk of this habit is more clearly known than it was in the past. Hand to mouth is not the best in these times of germs, influenzas, infections and diseases. "I was a chronic nail biter for 30 years of my life. It seemed like my fingers were always in my mouth, and my hands were never presentable. My nail biting was both a source of embarrassment and infection. I had tried every way to stop. Calling up Chester County Hypnosis was a leap of faith I'm glad I took. I was most impressed by Mr. Nunan's professional manner and the time he spent with me to answer my questions. It was clear to me I wasn't just another appointment to be rushed in and out assembly-line fashion. After several sessions I no longer have the urge to bite my nails and have recently had them manicured for the first time. Family and Co-workers have commented how clean and nice my hands now look." As you can see, many of my clients are now enjoying the wonderful benefits of clean, healthy nails and a great sense of freedom from leaving this habit behind them. I do this all the time and it's easy. Call me today at 610-296-4929 for more information. I can improve your Self Confidence by giving you the ability to make positive changes in your life. We often lack Self Confidence because we have difficulties making changes we want and need. 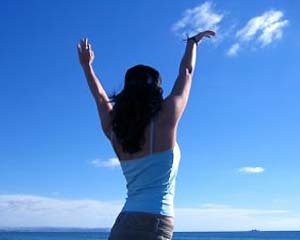 When we do make those wanted and needed changes, we get a great boost of Self Confidence and a new sense of Empowerment. These are all some of the benefits of Hypnosis in your daily life. Long acknowledged by Hypnotists and Hypnotherapists, our ability to help you heal better and faster is now being proven. Quite astonishing to scientists, this fact has been experienced by many of us through the years when we see the importance of attitude and outlook in fighting illness and disease. This is one area we have very personal experience in and consider it a great advantage in reaching, maintaining and recovering your health. While hypnosis should never be used as a substitute for the care of a physician, I find that working in a complimentary capacity under the referral from your physician can often yield great benefits. I do require all medical issues to be referred from your doctor in writing. Some of the issues I've helped clients with in the past have been dealing better with difficult treatments and therapies, such as cancer, chronic pain, radiation treatment coping, chemotherapy coping and HCV/HIV treatment coping among others. Cheek Biting and Lip Biting are habits that can be quickly and easily eliminated with Hypnosis. If you have either of these harmful habits, you can feel better knowing that I have great success with virtually all of my clients. Damaging the fragile skin inside our mouth can lead to serious health risks and these are habits that you definitely want to stop. Many people suffer silently with these types of Frictional Keratosis (FK) because it is usually noticed only by he person doing it. We also work with Tongue Thrusting and rubbing the tongue against the teeth or Bruxism. There is no need to keep doing any of these harmful habits anymore, so give me a call to make an appointment at 610-296-4929 and let me help you set yourself free. Hypnosis can have a very beneficial effect in improving your attention and focus. Concentration can be improved and we can become more focused and perform better in many areas of our life. Call me today at 610-296-4929 and we can discuss it further. I cannot thank you enough for helping me through a very difficult process of public speaking. As a result of your help, I was able to recapture the confidence I once had. As I stood with confidence and poise, I felt free and focused. Even before the meeting, I feel a sense of clarity and purpose when speaking one on one or with small groups of people. My only regret is that I had not worked with you sooner – better late than never though. I feel I am now able to start another chapter in the continuance of my personal and professional growth. Thank you so much again - I am forever grateful to you. Let me help you to help yourself overcome your fear of public speaking and open new opportunities and horizons for yourself. Logic tells us that we are safer flying in an airliner than driving to our local supermarket, but why can't we ever feel that way ? Relax, Fear of Flying is extremely common among people and is an issue we successfully deal with almost everyday. This is, quite literally, something that prevents us from getting anywhere in our lives. We are unable to see France, Italy, Hawaii and countless other destinations because of this highly-charged unspecific fear, the Fear of Flying. Well, there is good news. No longer will you have to suffer because of this, ever again. Most of my clients report that they happily snooze on flights now and wake up refreshed and ready for their new destination. You can enjoy traveling too; see the world finally and go where you dreamed of. So, plan your vacation and give me a call. It's really as easy as that when you take control of your life with hypnosis. One of the most beneficial uses of hypnosis is in the drugless control of pain. While pain is a natural indicator of a problem, and should never be masked unless recommended by your physician, I offer a drug free alternative that is entirely under your control at all times. My clients are taught how to quickly and easily apply and remove this pain control, whenever and wherever they want and usually report a better level of pain management without side effects and possible drug addiction consequences. This is especially effective in Long Term Pain Management, Cancer Treatment management and Healing Imagery. I can really help you, or those who are close to you, improve the quality of life. I do require a referral from a physician or health care provider for Pain Control and to do work with Surgery Prep and Recovery. This is one of the more interesting aspects of what I do. While in the hypnotic mind state, clients can often recall experiences that appear to have occurred prior to their birth. In many cases, previous lifetimes, events and identities are experienced and recalled. Although sometimes conflicting and sometimes confusing data exists in history, clients usually gain insight and information when they are able to access these regressions. While I make no claims or possess much definitive information regarding this, I do help, if requested, guide my clients to a state where they sometimes can access these curious remembrances. I have clients who regularly see me for this and highly regard and recommend this for all. Since we can easily access our detailed memories and experiences while hypnotized, finding lost items is quite possible for us. In Hypnosis, we can regress to a time when we last remembered having an item and follow our subconscious memory and recollections towards, hopefully, where the item is now. Often our conscious recollections do not include key information that may help us locate the item. If we are not paying conscious attention at the last time we were aware of the item, we may not have all the information we need. However, our subconscious mind notices everything and records everything and with hypnosis we can very often go back in time and gather the important details that we need. This can be especially useful for family heirlooms, items of value and sentimental items. Often locating these items are of great importance and results in great relief and satisfaction. I am always glad to do my best to help in these situations. If you have lost or cannot locate an item that is important to you, don't give up. give me a call at 610-296-4929 and let me help you find it and put your mind at ease. Works fantastically well for children and adults to stop bed wetting. Contrary to many thoughts and theories, most bed wetting is just a habit and I can help to change those habits quickly and easily. I have great success with youngsters and even adolescents and older to help quickly change this habit. The most important factor is that the person, no matter how young or old, wants to change. While very powerful and a great method of change, hypnosis can't make anyone do anything they don't want to do. However, when we want to change, are motivated to change, we'll find that this is a great way to change quickly and easily. Hypnosis to Stop Wetting the Bed can be a wonderful, lifelong solution for the young who are heading off to camp, going away on trips, going away to school or wish to live with others. No longer do they have to be ashamed or to avoid doing the things they want to in life. This is the one way they can quickly change. Call Joe Nunan CH,CI at 610-296-4929 for more information and details. Hypnosis is about the only thing I know that can easily and quickly overcome your Fear of Bridges (Gephyrophobia). Until I became a Hypnotherapist, I never realized how common and prevalent this was. Most people who experience it just accept it, suffer from it and let it damage their freedom and sense of self esteem. They end up making drastic changes in their lives to avoid driving across bridges and as a result don't get the chance to go where they want to do or do the things they want to do. They are imprisoned. Trying to overcome this by Will Power won't work. It doesn't matter if you are a strong person, it just won't work. What I do is the key to set yourself free and begin living again. Bridges are actually safer than normal roads because they are maintained better, are better patrolled by police and people are more careful. It's time to let yourself out of the prison of Gephyrophobia. Fear of Bridges can easily be overcome with just a few simple sessions. Go where you want to go and do what you want to do ! Call Joe Nunan CH,CI at 610-296-4929 for more information and details. I help people everyday to easily make difficult changes they really want and need, but just can't seem to get accomplished. With sessions to Quit Smoking, Lose Weight, Improve Sports Performance and Reduce Stress, I see clients achieve personal goals they had tried to reach unsuccessfully for years. Changing habits and behaviors is not easy for anyone. It seems that no matter how much effort we put into it, the results are always same. We fail to achieve our goals over and over again. It is as if we are always fighting ourselves, and actually, we are. You see, we haven't changed on our subconscious level, our automatic level. No change can be truly effective or lasting for us unless it is done there. In the past, we had only consciously decided to make changes in our life, which is only just the first step in the process of change. Then, in the second part we had to struggle and suffer for months or even years as we tried to re-train ourselves on the subconscious level. We were told to use all of our willpower and be strong. We can quickly and easily change on that subconscious level, where it counts. If we change there, we don't have to struggle, we don't have to suffer, we don't fight ourselves and we have no more failures. It really is as simple that. As long as we truly want the changes and follow some simple instructions, our mind will easily accept these new ideas and behaviors and our changes will occur right away. Overcome the Fear of Public Speaking, the Fear of Flying, Stop Nail Biting, Hair Pulling, or other undesirable habits, Get Better Grades and Improve Memory, and Reduce Shyness and Build Self Confidence. You can reduce your sensitivity to Chronic Pain, Relieve IBS symptoms and learn how to make fast, easy and lasting Positive Changes. You can now be free to live in better happiness, health and wellness and really enjoy doing it this time, without struggling and suffering. Help yourself to have new motivations, new positive attitudes and enjoy your life much more every day. I offer Sessions in West Chester, in the suburbs west of Philadelphia, and my clients clearly show the benefits that all of us can have. Never let circumstances dictate your future. Whether you realize it or not, you have all the power needed within you, at this very moment, to make any changes you want to make. Hypnotism has proven to have the quickest, easiest and most long lasting results for you to stop smoking cigarettes, stop using smokeless tobacco, stop chewing Nicorette gum or E-Cigarettes. You can have quick and permanent weight loss, improve sports performance, relieve stress and tension, improve your sleep or insomnia, eliminate your fears, change bad habits, improve your memory, recall and concentration or control pain without prescription drugs. You can have increased motivation, less procrastination or laziness, a positive, optimistic outlook and enjoy your life much more. I could be helping you now, so call 610-296-4929 today for a free phone consultation. I'd be glad to answer any questions that you may have. I believe that my clients always come first and my services all are designed for maximum benefit to those who want my help. Life is tough, and there is no reason to make it tougher on ourselves. My highly successful programs and sessions will help you to finally take control of your future. I'm Joseph Nunan CH and I'm a fully Certified Hypnotherapist, Certified Instructor and member of the Teaching Faculty of The National Guild of Hypnotists, the oldest, largest and most respected hypnotism accrediting organization in the world. I operate according to the National Guild of Hypnotists' Code of Ethics and Professionalism, and I consistently provides clients the very best services, to help them accomplish and surpass all of their desired goals. My primary purpose is to enable clients to quickly and easily achieve positive personal change. Whether it's for Weight Loss, Stop Smoking or Eliminating Bad Habits, I can help you improve your life quickly and effortlessly. I am located off Rte 3 in West Chester and am easy to get to from anywhere in the Philadelphia area, including Exton, King of Prussia, Valley Forge, Malvern, Paoli, Main Line, Downingtown, Phoenixville, Great Valley, Unionville, Kennett Square, Coatesville, Glen Mills and Philadelphia. With close access to Routes I-76, I-476, 202, 30, 252 and PA Turnpike, our clients find that I am a short drive from anywhere in Southeastern Pennsylvania, Northern Delaware and Southern New Jersey. Call Joe Nunan CH,CI today at 610-296-4929 and find out more about how I can be helping you now.